TT Lures® NedlockZ™ HD Jigheads and 3" TRD HogZ™ add fuel to the ‘Ned Rig’ fire. extra-heavy duty Mustad® UltraPoint® hooks, making them ideal for use with heavier tackle. Featuring a signature mushroom-shaped head preferred by finesse enthusiasts and innovative split keeper that easily rigs and holds both ElaZtech and conventional soft plastics securely in place, they’re the next breakthrough tool in Z-Man’s incredibly popular Ned Rig lineup. Available in 1/15-, 1/10-, 1/6-, and 1/5-ounce weights, in green pumpkin and black finishes, a 5 pack of TT Lures NedlockZ HD Jigheads retails for $6.99. Mimicking a variety of invertebrates that make up the bulk of a bass’ diet, the 3" TRD HogZ™ is a ribbed, compact-profile creature bait designed to pair perfectly with Z-Man’s Finesse ShroomZ™ and NedlockZ™ jigheads for Ned Rig applications. 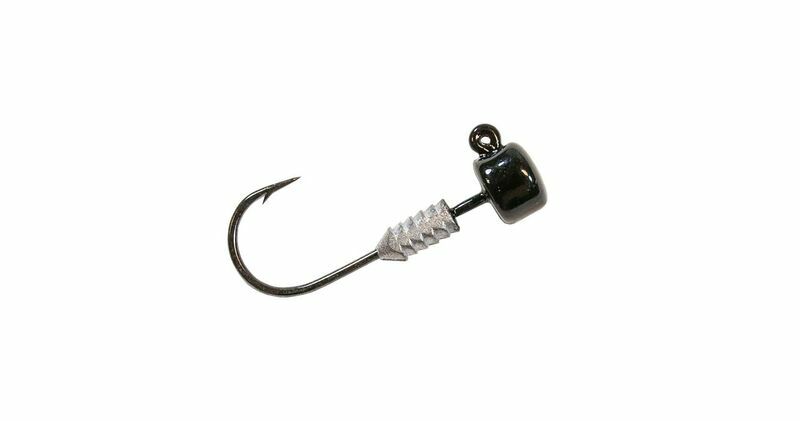 Featuring legs and twin tails that quiver at the slightest movement, its buoyant ElaZtech body stands up off the bottom at rest, bringing the bait to life. TRD HogZ are a game-changing option for Ned Rig anglers experiencing tough bites, or simply seeking to maximize their time on the water with as much fish-catching action as possible. Available in 10 colors, a 6-pack of 3" TRD HogZ retails for $4.49.